Two leading figures from the Peterlee and Seaham business communities have been appointed to spearhead the area’s continued growth. Kareen James-Rawson from automotive manufacturing firm Novares and Paul Wellstead, the developer behind Spectrum Business Park, will take up the joint chairman’s role of the Peterlee and Seaham business park groups’ steering committee. They replace outgoing chairman Steve Metcalfe from NSK Bearings, who is stepping down from the role after five years. Mr Metcalfe will remain involved and will support activity going forward. Both Kareen and Paul have been involved with the group for some time and are committed to enhancing the progress made in both the Peterlee and Seaham areas over the last few years. HR Manager Kareen will oversee Peterlee activity and is focussing her efforts on continued engagement with businesses in the area and encouraging them to share opportunities for growth. Collectively the groups run in partnership and are driven by representatives from companies including Andrew James Worldwide, LEC Communications and Design, Aspen Wolf, Seaham Safety Services and Great Annual Savings Group, as well as Novares and Paul Wellstead, who all take time out from their day jobs to do their bit to help shine a light on both business communities for the right reasons. Joanne Urquhart-Arnold and Guy Bashford from Business Durham are also heavily involved. Paul Wellstead will sit alongside Kareen and will take on responsibility for Seaham. He said: “When I first started developing Spectrum Business Park, the area was struggling to establish an identity and find a place for itself within the regional business landscape. Over last few years, the group has supported the growth of several existing employers, as well as assisting inward investors including Peterlee-based D & S Services, Icarus and Bristol Laboratories, and Seaham companies Northumbrian Water, Great Annual Savings Group, ResQ and Vivarail, all of whom have opened facilities or offices. 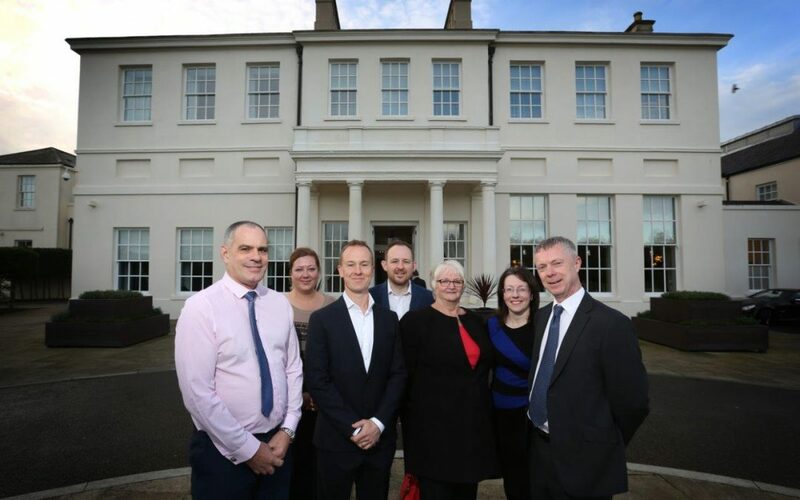 Leanne Fawcett, Managing Director of LEC Communications and Design, said: “There’s no doubt both Peterlee and Seaham have undergone a massive transformation in recent years, and are now regarded as among the best and most prosperous business areas in the North East.